Just like its users, Joan is always on the go. As the WFES in Abdu Dhabi gets underway, we’re already looking ahead at new challenges and opportunities. 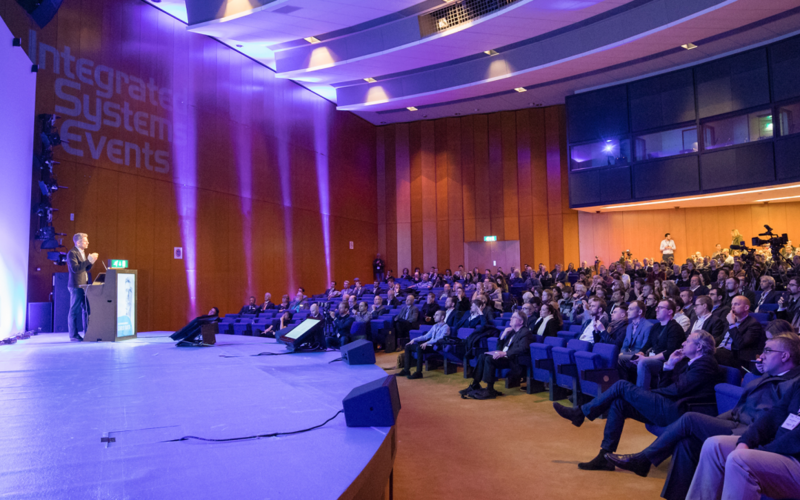 Both await in February at the place to be: Integrated Systems Europe 2019. ISE is an exhibition for AV and systems integration professionals and is the largest of its kind. It takes place in Amsterdam from February 5 to 8, and with 1,300 exhibitors and 80,000 registered attendees, this year’s edition is predicted to be the biggest yet. With a wide range of programs involving special interest groups, conferences, speeches by world-renowned experts, ISE makes a perfect platform for gaining new knowledge, networking among existing and future partners, and a unique opportunity for exhibitors to meet leading groups of end users. ISE is all about meeting the people and hearing the stories behind the technologies. Hence, we kindly invite you to meet with Joan at one of our three locations and find out first-hand what makes it the number one booking solution. Hall 2, Booth B40 is where you’ll find COMM-TEC GmbH, one of the leading value-add distributors for AV media technology in Europe. Stationed in Hall 14, Booth A100 by the Drone Arena will be the EXERTIS Group, a leading European route-to-market, and supply chain partners for global technology vendors. Also located in Hall 14, with its Booth M230, will be Joan itself. To make things more cohesive for visitors, products, solutions, services, and companies will be presented at six technology zones: Audio and Live Events, Digital Signage & DOOH, Education Technology, Residential Solutions, Smart Buildings, and Unified Communications. As a Bronze Sponsor of the Smart Building Conference, we’re going to have leading experts review the latest digital transformation practices that can be applied when making any institution smarter. A fresh addition to ISE is also the Main Stage. As a key component of the event’s “Learn, Discover, Be Inspired” initiative, the stage’s program will include sessions exploring how today’s integrated solutions are being designed and implemented. In short, very applicable stuff! One of these eye-opening sessions will also be delivered by Joan’s very own Customer Success Manager for Western Europe, Lex de Grijs. In his speech entitled The Modern Workplace: Tools, Trends & Transformation, Lex will explore the challenges facing our work environment in the digital age. Whether it’s something you require for your business, specific information on novel solutions and technologies, or you simply strive to develop new business relationships – if you want it, ISE’s got it. From Zytronic’s Hybrid Touch technology to Lendlease’s new AV solution, from AKG’s Secure Digital Wireless Systems to Clevertouch’s launch of the Enterprise Ecosystem, and much more. And it’s with this simple, straightforward message in mind that Joan wishes to once again invite any interested party to meet up with us at the ISE and discover a world of room management digital signage unlike any other. We have the right know-how, the right vision, and our doors are always open. If they’re not, be assured we’ll book a spot for you in a flash. Pun most certainly intended. Stay tuned for the next post on Joan at ISE 2019, where we’ll fill you in on some useful Tips & Tricks for your visit to the exhibition. As more and more businesses are looking for ways to optimize time management, leading companies have already found the solution in Joan.